Reading At Home With Your Child. When parents help their children learn to read, they help open the door to a new world. Fiona Wilkinson. 2 As a parent, you can begin an endless learning chain: You read to your children, they develop a love of stories, they want to read on their own, they practice reading, and finally they read for their own information and pleasure. They become readers, and their world is forever expanded and enriched. 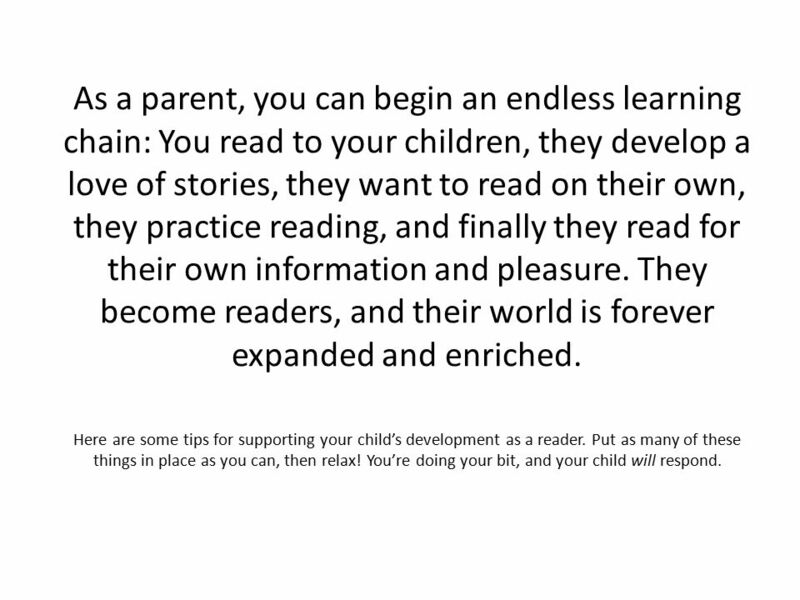 Here are some tips for supporting your child’s development as a reader. Put as many of these things in place as you can, then relax! You’re doing your bit, and your child will respond. 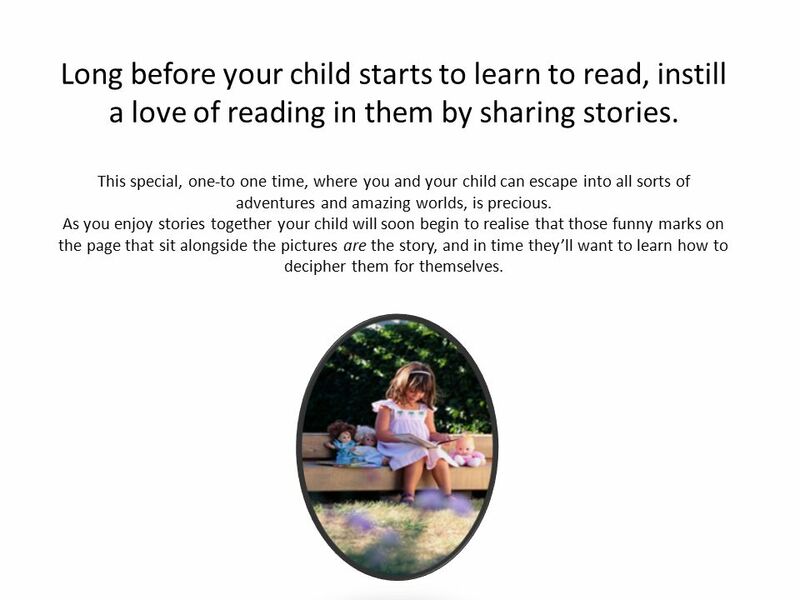 3 Long before your child starts to learn to read, instill a love of reading in them by sharing stories. This special, one-to one time, where you and your child can escape into all sorts of adventures and amazing worlds, is precious. As you enjoy stories together your child will soon begin to realise that those funny marks on the page that sit alongside the pictures are the story, and in time they’ll want to learn how to decipher them for themselves. 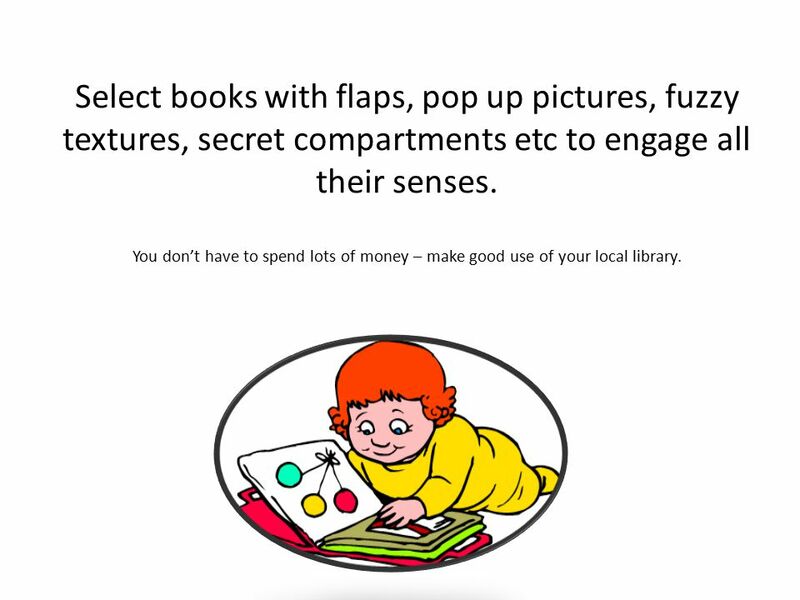 4 Select books with flaps, pop up pictures, fuzzy textures, secret compartments etc to engage all their senses. You don’t have to spend lots of money – make good use of your local library. 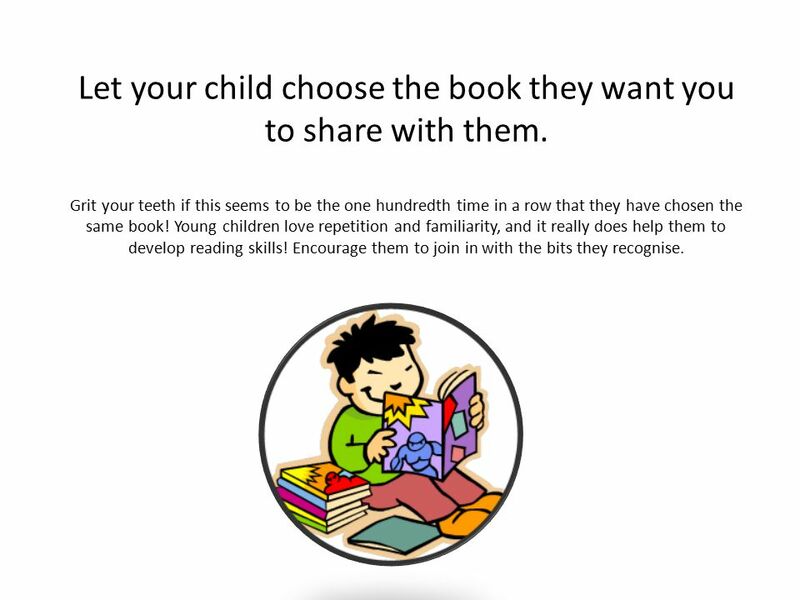 5 Let your child choose the book they want you to share with them. Grit your teeth if this seems to be the one hundredth time in a row that they have chosen the same book! Young children love repetition and familiarity, and it really does help them to develop reading skills! Encourage them to join in with the bits they recognise. 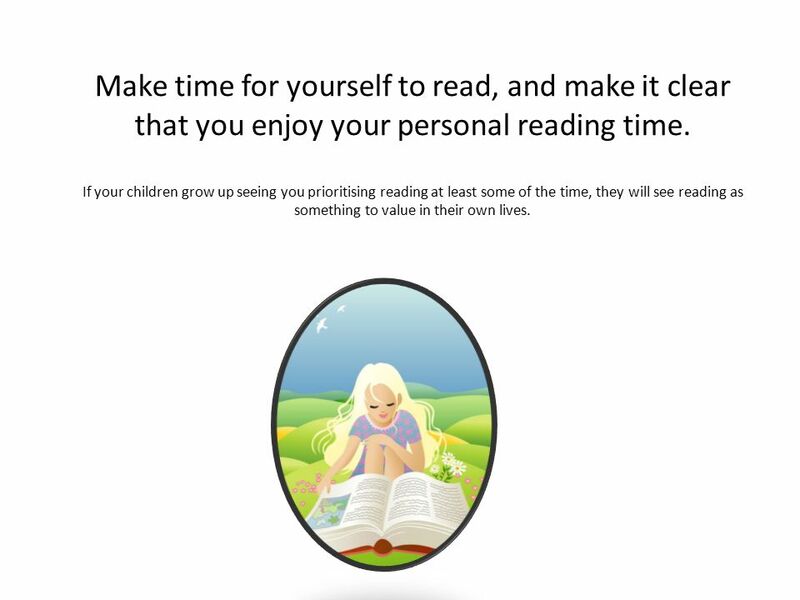 6 Make time for yourself to read, and make it clear that you enjoy your personal reading time. If your children grow up seeing you prioritising reading at least some of the time, they will see reading as something to value in their own lives. 7 Look for opportunities to encourage your child’s reading skills when you’re out and about together. Even before they can read, children can begin to recognise signs for toilets, entrance, exit, stop, danger etc. 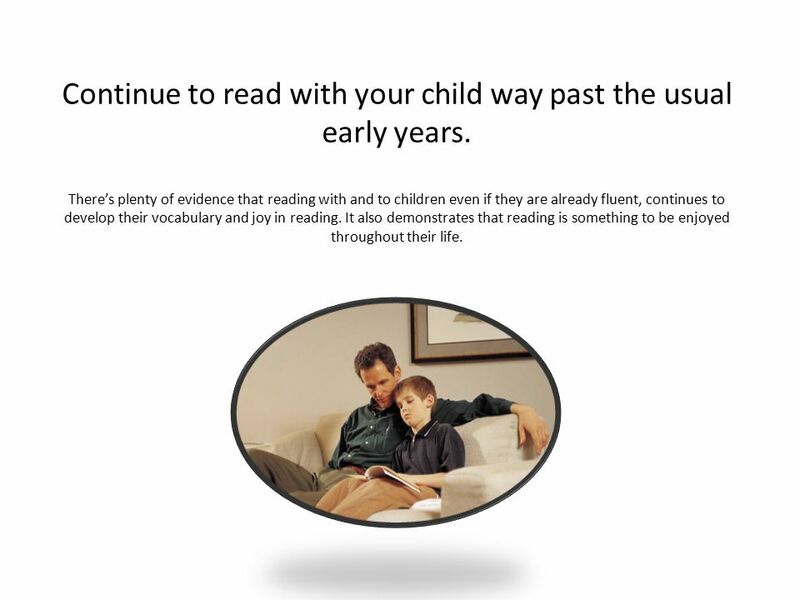 8 Continue to read with your child way past the usual early years. There’s plenty of evidence that reading with and to children even if they are already fluent, continues to develop their vocabulary and joy in reading. It also demonstrates that reading is something to be enjoyed throughout their life. 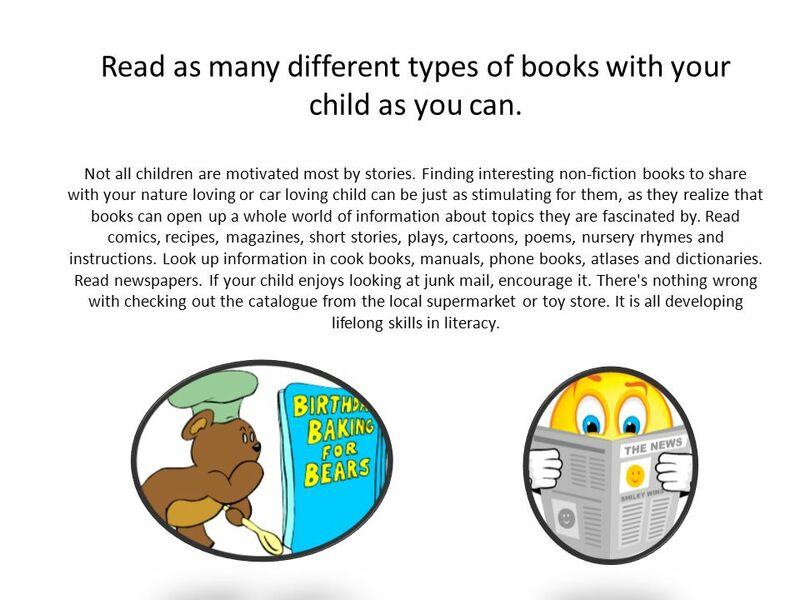 9 Read as many different types of books with your child as you can. Not all children are motivated most by stories. Finding interesting non-fiction books to share with your nature loving or car loving child can be just as stimulating for them, as they realize that books can open up a whole world of information about topics they are fascinated by. Read comics, recipes, magazines, short stories, plays, cartoons, poems, nursery rhymes and instructions. Look up information in cook books, manuals, phone books, atlases and dictionaries. Read newspapers. If your child enjoys looking at junk mail, encourage it. There's nothing wrong with checking out the catalogue from the local supermarket or toy store. It is all developing lifelong skills in literacy. 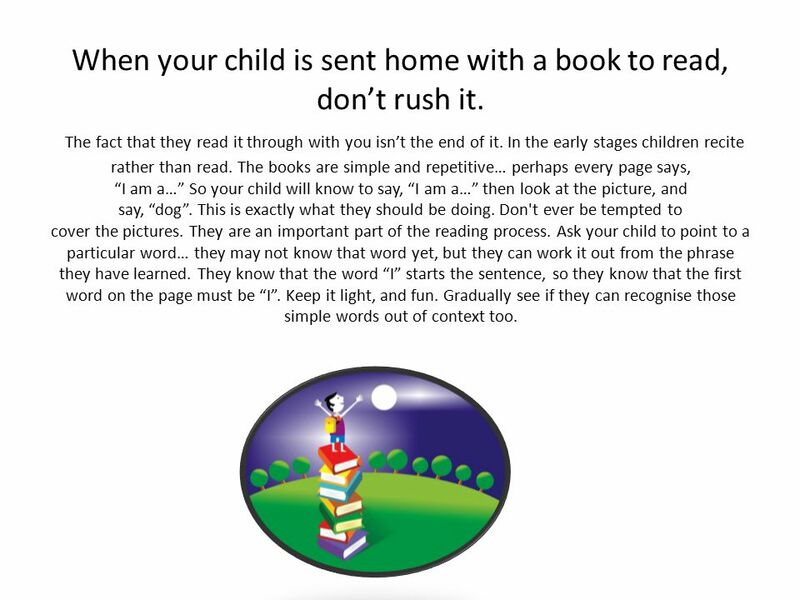 10 When your child is sent home with a book to read, don’t rush it. The fact that they read it through with you isn’t the end of it. In the early stages children recite rather than read. The books are simple and repetitive… perhaps every page says, “I am a…” So your child will know to say, “I am a…” then look at the picture, and say, “dog”. This is exactly what they should be doing. Don't ever be tempted to cover the pictures. They are an important part of the reading process. Ask your child to point to a particular word… they may not know that word yet, but they can work it out from the phrase they have learned. They know that the word “I” starts the sentence, so they know that the first word on the page must be “I”. Keep it light, and fun. Gradually see if they can recognise those simple words out of context too. 11 Listen to your child read, everyday. In the early days, read to your child, and discuss what you’re reading. After a while you can begin to read with your child. Let them decide if they want to read aloud to you sometimes. Later, listen to them read, just stepping in to help out with more challenging words when they need it. 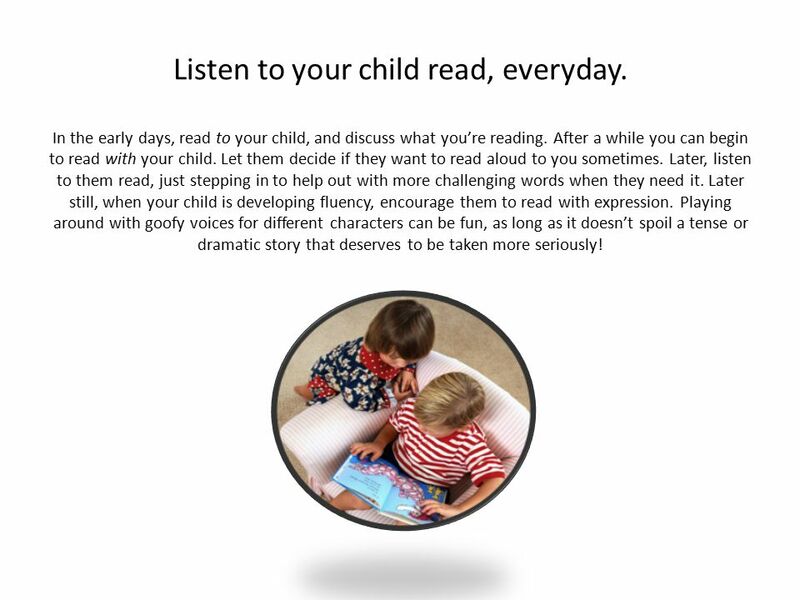 Later still, when your child is developing fluency, encourage them to read with expression. Playing around with goofy voices for different characters can be fun, as long as it doesn’t spoil a tense or dramatic story that deserves to be taken more seriously! 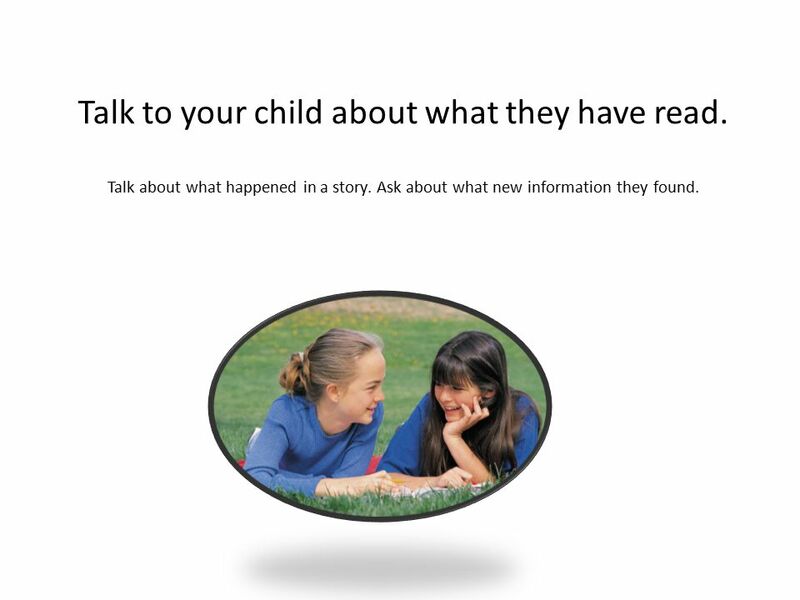 12 Talk to your child about what they have read. Talk about what happened in a story. Ask about what new information they found. 13 Enjoy the experience! 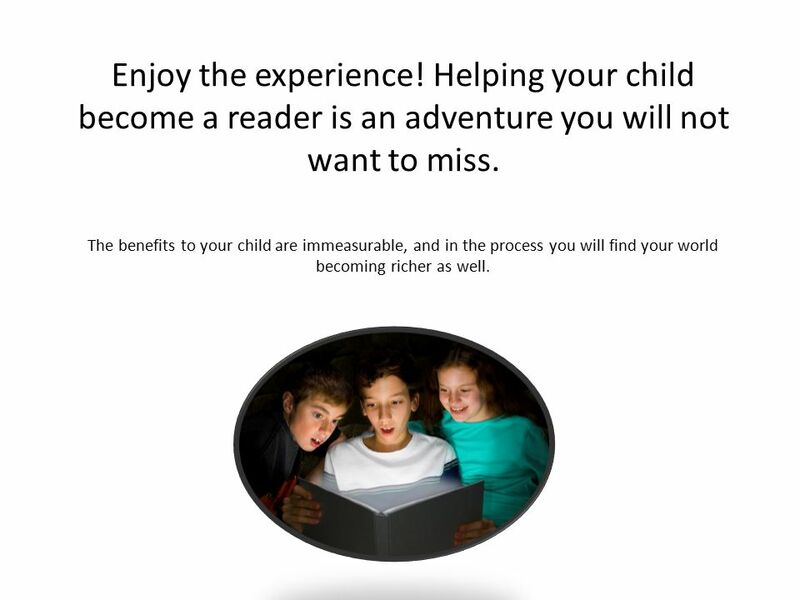 Helping your child become a reader is an adventure you will not want to miss. The benefits to your child are immeasurable, and in the process you will find your world becoming richer as well. 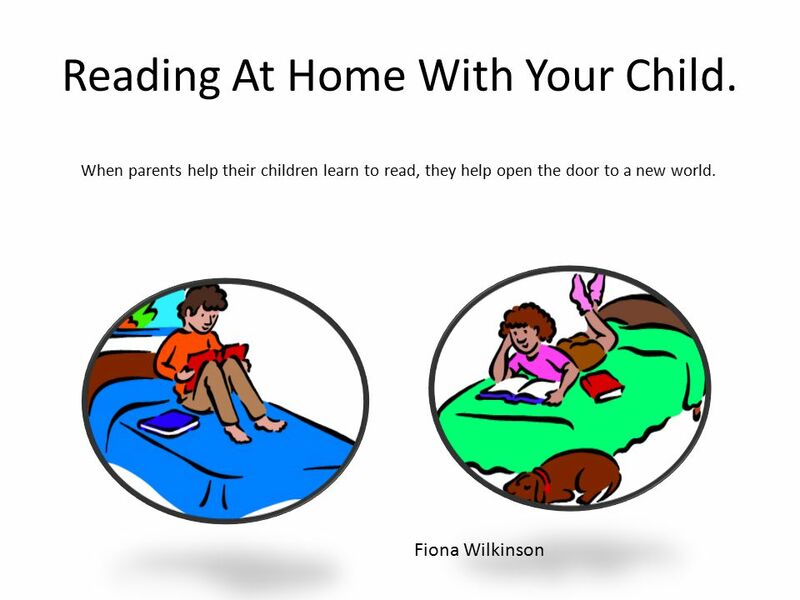 Download ppt "Reading At Home With Your Child. When parents help their children learn to read, they help open the door to a new world. Fiona Wilkinson." Tips For Parents on Helping Their Young Children to Develop Early Literacy Skills. Victoria Cochrane Literacy Adviser IST 2010. How we teach your child to read. Phonics a  Teaching sounds  Linking sounds to letters  Blending and segmenting sounds  Reading and writing sounds. Reading Rules! Ashford Oaks Primary School Donna Frith. HOME READING IN ONE /TWO. READING SHOULD BE FUN!!!! Our number one priority is to ensure reading is a positive and enjoyable experience for students and. Bexley Early Years Advisory Team Reading Julia Andrew Teaching and Learning Adviser. Reading Workshop for Reception Parents Helping your child become a confident reader. 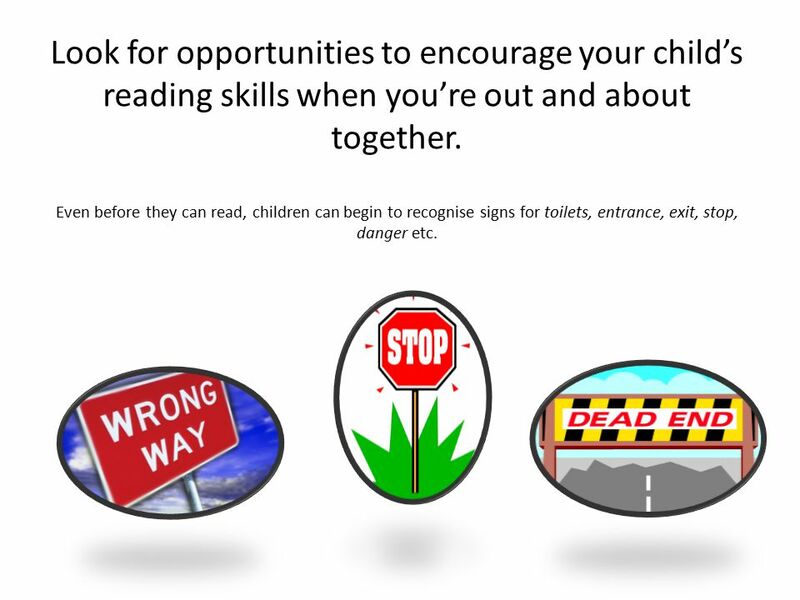 Supporting reading at home Parents information talk Bagshot Infant School Tuesday 8 th January 2012. Children learn about how language works and develop their vocabulary by talking with their parents. They learn about stories and books when people read.